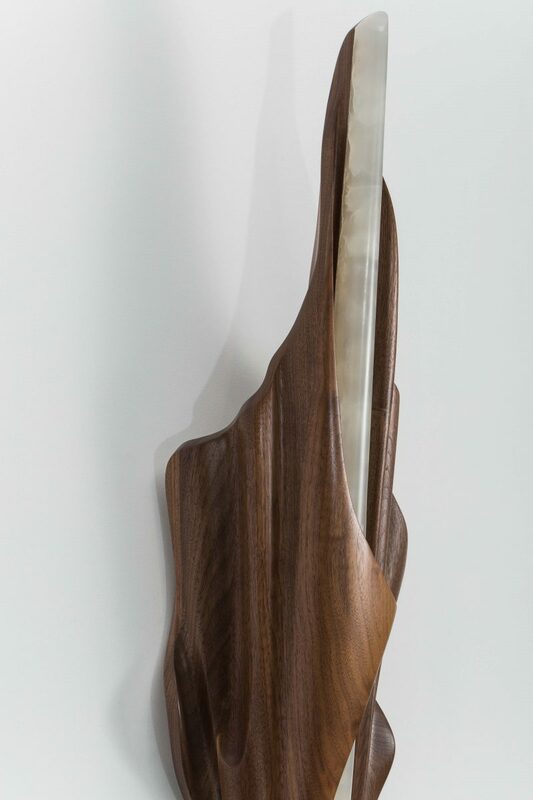 Markus Haase’s Single Wrapped Sconce is the latest work in the artist’s exploration of natural forms combined with cutting-edge technology in lighting. 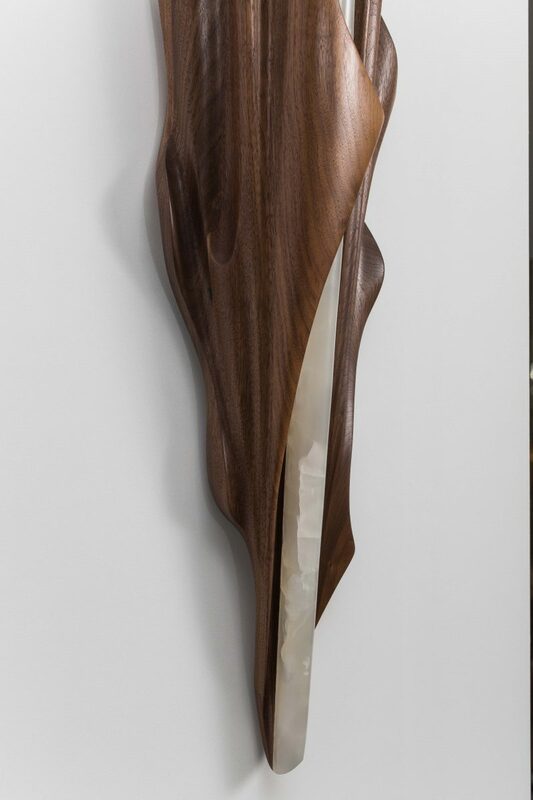 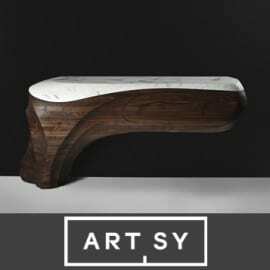 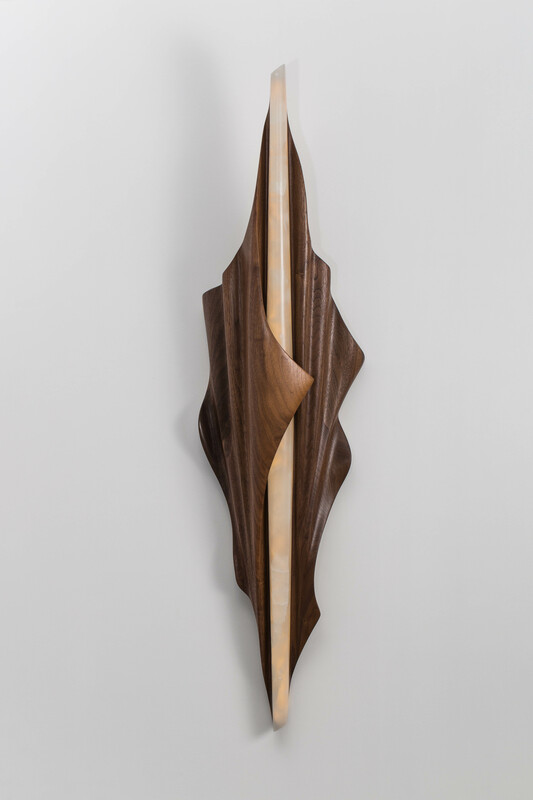 This unique mounted sculpture features a carved asymmetric design as the wood effortlessly wraps and folds across the central marble spear. 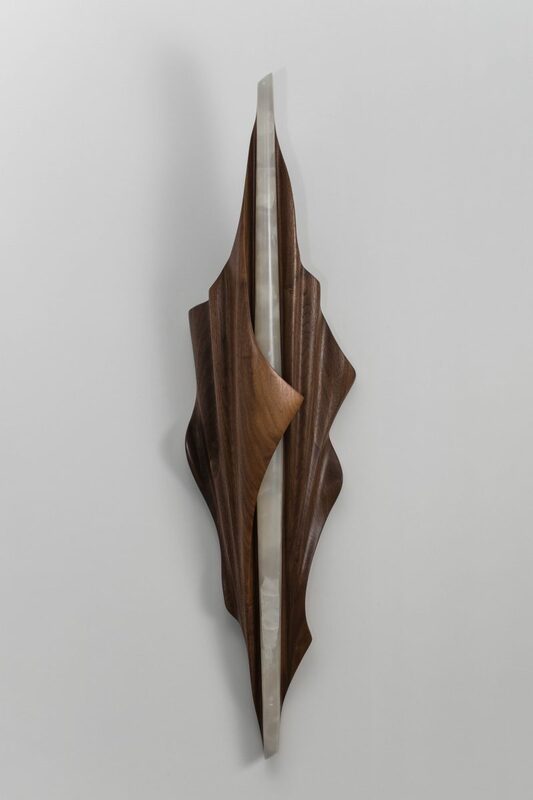 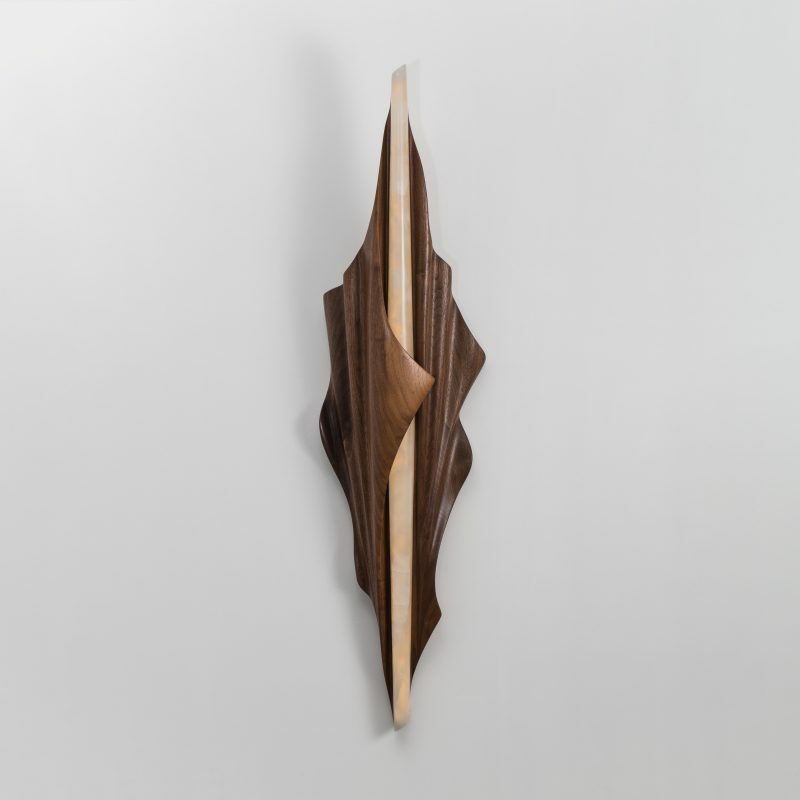 As with his earlier work, Venus Wall Appliqué, the contrast of material and form gives the Single Wrapped Sconce both masculine and feminine qualities.